Kate and I recently had dog trainer and author Melissa McCue-McGrath join us on two episodes of The Woof Meow Show to discuss her new book. 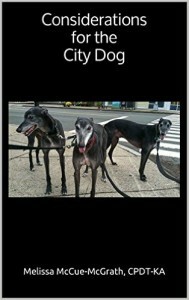 Considerations for the City Dog. 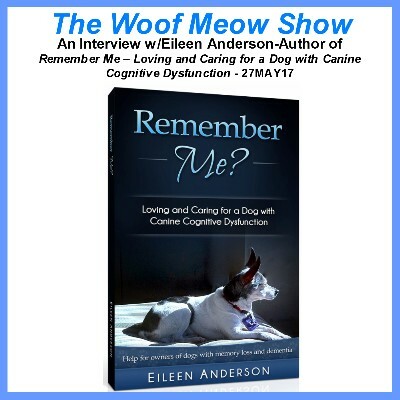 The book offers excellent advice on what to consider before getting a dog, which is the subject of our first show (Interview with Melissa McCue-McGrath author of Considerations for the City Dog – part 1 – click to listen). In the second show (Interview with Melissa McCue-McGrath author of Considerations for the City Dog – part 2 – click to listen ) we get into the nitty gritty of the book which is useful to any dog owner, whether city dweller or hermit. 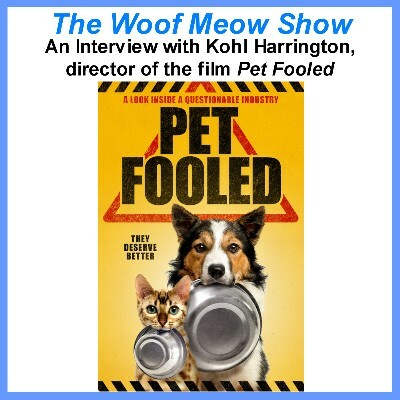 Topics we discuss include; the environmental shock that can occur when a dog rescued from the rural south ends up in a major urban area like Boston. We also discuss how these dogs are transported and how that can negatively impact the dog’s future behavior. Many rescues do this right, but some do not, and intentionally flaunt the law. Like Kate and I, Melissa believes that meeting the dog first is absolutely necessary before adopting, yet many rescues do not require or even offer this opportunity. Melissa’s book contains many tips on what to look for in a breeder, rescue or shelter as well as suggestions on what to avoid. 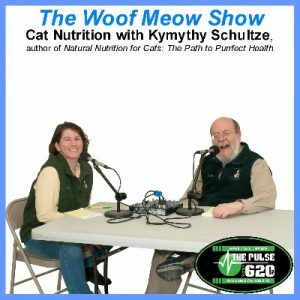 We also discuss walking devices; leashes, collars and what works best. 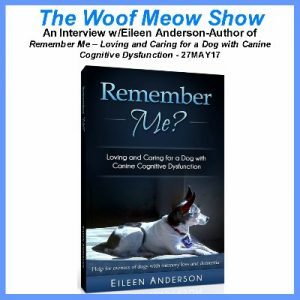 The importance of mental stimulation in a dog’s life and how to accomplish it. How to find a good trainer and behavior consultant and what to look for in that individual. The concept of shared space is discussed; the need to respect and follow leash laws and to make sure that we do not allow our dogs to infringe on the space of other dogs who might not enjoy an interaction with another dog.